As we’ve noted before, Dinosaur Jr holds a special place in the history of NYCTaper. One of my first recordings for the site and the one that seemed to put us on the blog map was a Dinosaur Jr. show at Irving Plaza in 2007. 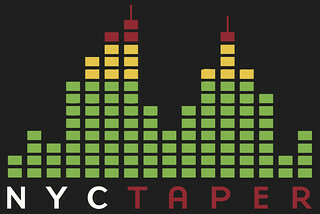 Over the years, we’ve recorded the band many times, and most recently acidjack and JFCB’s captures of the mega-Dino Jr show at Terminal 5 with a plethora of special guests has been one of the most popular recent offering at the site. So it was only natural that a solo J Mascis show at our favorite venue would be the natural evolution of our relationship with this artist. J recently released what is essentially his second proper solo album Tied To A Star (Sub Pop), and he’s currently on tour to support the record. At Bowery Ballroom, it was just J and several acoustic guitars with a ton of pedals. For the most part, he played it pretty straightforward, while occasionally taking advantage of the looping and sampling capability to jam with himself. The setlist included half of the new album and healthy dose of Dinosaur Jr tracks. We are streaming below our two favorite parts of the show, including a blistering guitar solo that extended the new song “Heal The Star” to beyond six minutes and the very J-like cover of the Mazzy Star classic hit “Fade Into You”. J’s tour picks up again in mid-November when he goes West before touring Europe in December. hi and lo and I recorded this set in our usual location at Bowery, front of the balcony next to the soundboard. hi and lo employed the MBHO cards on a clamp pointed out in front of the board area while I mounted the Schoeps cards on a stand. I blended the sources fairly evenly, each offering a slightly different locale and microphone style so that the result is a pretty excellent full-bodied capture of this solo acoustic show. Enjoy! 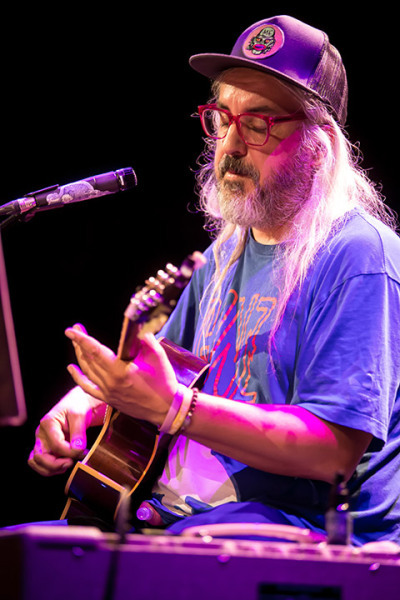 If you download this recording, we expect that you will PLEASE SUPPORT J Mascis, visit his website, and purchase Tied To A Star from the Sub Pop Records website [HERE]. well, the email address reveals my old DAT recording days. nothing though like what happens with nyc taper. THANK YOU FOR THAT! My wife and I traveled to see this show, got seated in the balcony side and loved the venue and the show. I noticed you/others(?) setting up and hoped hat this show would appear. I want to ask permission to post this on my personal Facebook page and will only do so if you permit it. Politely asking, mayI?